I only get a chance to come back home to Boston a few times a year. When I returned last December I came home to the news of the terrible tragedy known as the Newtown Massacre in Connecticut, where 20 little children and 6 adults died at the hands of a crazed gunmen. Unfortunately my return on April 15th – Marathon Monday in Boston – was even more traumatic. I feel that my home is a very sick place at the moment. The current events are all about gun control, random shootings, other violence, and terrorists. People are living in a constant state of fear and paranoia. Over the last few days many people have said to me “You just aren’t safe anywhere anymore.” That’s a massive change in thinking since I was a kid. The Marathon bombing was surreal. Terrorism is different when it hits the place you were born and raised. It was the first time I was present in a “state of terror.” We were told not to even leave our house. Thank God the drama is over now. Everyone is so relieved. 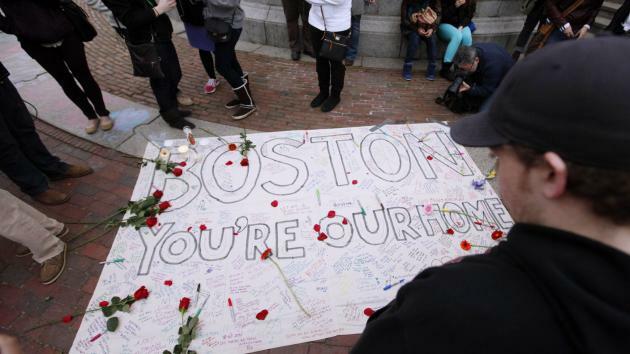 Bostonians can now move on and begin the healing process, which certainly won’t be easy. There’s a danger of rising nativism and anti-Muslim sentiment in the city. The challenge now is to make sure that pluralism is reinforced. We can’t fight extremism with extremism. Why don’t Bostonians react with the same emotion when little Pakistani children die at the hands of American drones? Is American life more sacred than Pakistani life? Is this not hypocrisy? The different reactions are weird to me. A child’s life is sacred no matter where the child might live. On a brighter note the collective response of Bostonians is truly remarkable. I don’t think I’ve ever lived in a place or city that has such a strong collective bond. There’s something definitely different with Bostonians. It’s like they are all part of a big tribe. There’s a different code of honor here. Bostonians have a different edge, a different psyche. An attack on one is really an attack on all. The determination and perseverance of the city is amazing. Perhaps it’s rooted in the rough conditions of the early Boston settlements, which date back to the 17th century. That was certainly a difficult period to live. Maybe their traits have carried over through the generations. It’s been a very challenging few days in Boston. So many emotions have run through me, some good and some not so good. I’m disappointed with the strange contradiction present in Boston about how and when Bostonians show support for victims of awful tragedies. In another way the response to the Marathon bombings has reinvigorated my Bostonian identity. I’m happy to be a part of a city that has such a strong sense of solidarity. This is a gritty city that could never back down from adversity. This is something to really savor.